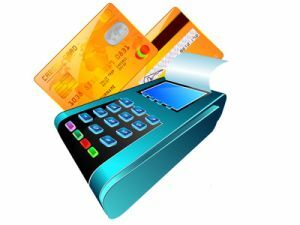 Credit card processing companies allow businesses to accept credit card payments both online and in person. It is clear that without processing companies the way we pay for products and services would be completely altered. The difference between choosing a decent credit card processing company and a great company can be huge for a business, you can save thousands of dollars a year in fees and the difference in accepting a large percentage of credit card payments. Credit card processing companies generally charge between 1 and 2 percent on each transaction. This does not sound like much but 2 percent on a thousand dollars’ worth of transactions on a day is 20 dollars which can add up very quickly. If you are just a consumer you might not care about credit card processing fees, but you need to realize that everything a business has to pay out ends up coming back to you via higher prices. When looking for a processing company you need to focus on not only fees, or lack thereof. You also need to look at a processing company that has a very high approval rate, you do not want to turn down business because one of your customers credit cards cannot be accepted. All credit card processing companies are going to say that they accept a large portion of credit card purchases, but that is because they want your business, to get a real idea of how well the processing companies approve credit cards you should look for independent reviews. As a company one of the biggest, and most underrate decisions you will ever have to make is who to go with to handle your credit card processing. You can chose a company that charges you outrageous fees, makes you sign multiyear contracts and does not accept many credit cards from your customers or you can go with a company that does business the right way. 1. Flagship Merchant Services: Flagship has an excellent reputation in the industry. Flagship has a friendly fee structure, they have an approval rating of 98% and you can get up and running with Flagship within a day! Fees range from between 1.5 and 2 percent which is very reasonable. 2. Chase Paymentech is another processing service that you should keep in mind. Chase has their hands in almost all areas of finance and payment processing is one of those areas. Chase, like Flagship offers 24/7 support you can contact them via Fax, E-mail or their toll free phone number. 3. Merchant One is the last payment processing to make the cut here. They are similar to Flagship and Chase in that they have great reputations and run their business the right way. You cannot go wrong with any of the three payment processing companies above!